Compare and contrast….because THAT, dear readers, is what it’s all about: Marx and Lenin’s versus Jefferson’s and Churchill’s vision for the future. I prefer the exhilarating contest of being free instead of the steady, boring existence of having everything dictated to me. How about you? This entry was posted in Op-Ed on February 29, 2016 by Defensive Training Group. Excellent advice on powering your hand helds! In addition, get yourself a Technician Class HAM license, and become a more capable communicator. A reader recently requested I elaborate on the comms equipment battery charging system I carry in my Ruck. First let me say that the setup I use is not what I would prefer but it works. I would prefer an ultra light weight system that I could attach directly to my Elecraft KX3 and charge the batteries using its built-in battery charger. The radios built in charger requires 13.8 volts dc but I haven’t found a pack-able panel that supplies that voltage. Most backpack/camping panels supply 5 vdc. That would require 3 sets of panels connected in series to get the necessary voltage. So, what I’ve had to resort to is removing the batteries from whatever radio I’m using, and charging the batteries in a charger that’s connected to the solar panels. This entry was posted in Basic Skills, Tools and Equipment, Training and Leadership on February 28, 2016 by Defensive Training Group. 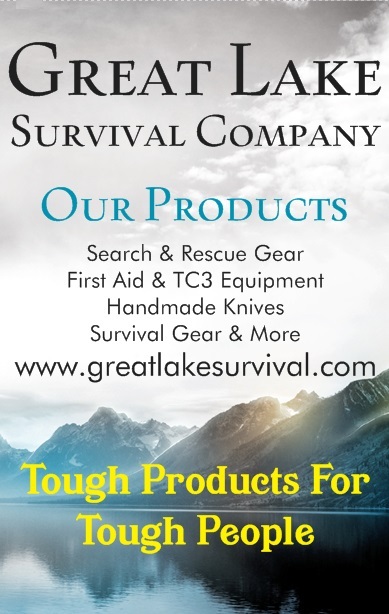 “Condition of Use: The SHTF and WROL scenarios are common place; there is no capability for recognized ‘first responders’ to nullify the threat to your NPA (Neighborhood Protection Area) or keep you and your ‘precious cargo’ safe. You are on your own. NPT Scenario: So, you’ve been diligent about getting a NPT established and trained before SHTF/WROL occurred (or even after, before things got really dicey with the associated steep learning curve), have been doing extensive reconnaissance, and have determined that a significant (you judge on what ‘significant’ means) number of MZB’s mean to come and raid your small, secure NPA for whatever staples you have. All first response entities that are out there are busy taking care of their own families and won’t respond (think police, fire, and ambulance response during Katrina). In Parts I & II, we looked at the Concepts and Principles of an ambush, it’s definition, the common elements of all ambushes, various categories as well as some of the skills required to successfully perform the task. In this installment, we’ll describe the basic composition of the ambush team and some useful formations. A note on formations: There is no limit to the formations an imaginative NPT leader or team can come up with for an ambush. Limitations are entirely dependent upon the available terrain, number of team members, weapons available, purpose, target, and not the least of which, the audacity of the NPT leader. Let’s start with team composition. Baseline fact: There is no room in an ambush team for non-team players. Everyone is dependent upon everyone else in the team to successfully complete the mission and return to the NPA alive. If you have folks in your NPT that have a hard time taking direction, it might not be the best choice to include them on one of these teams until such time, if any, they demonstrate the capability of following direction. The most basic ambush team is the single shooter, or, ‘lone gunman.’ He can be very effective if the task is to delay or disrupt, he’s very good at camouflage, marksmanship, can operate on his own (meaning he can subsist without support), isn’t prone to panic, and does not let himself get enveloped (aka ‘surrounded’), and if finding himself in that position, does as much damage to the MZB’s as possible before being taken. It should be a matter of course that this individual has been highly trained in navigation, precision (as much as is feasible with his weapon) marksmanship, fire discipline, camouflage and concealment, is highly fit and can carry what he needs. Small teams of up to four people can do wonders performing ambush, but they must all be highly trained as described above, and have the ability to work individually, in two man teams, and as a single unit. Further, they should have a chain of command and be used to following plans, directions, mission intent, and submit themselves to the team leader. Beyond the one man team, in larger ambush teams of at least 11 people, there are three elements: Command (CE), Assault (AE), and Security (SE). The CE has the team commander, primary communications team member, medic, and any ‘observers’ that may be along for a variety of reasons. PAT: The team that does the primary shooting and killing of the MZB’s. SPT: Provides fire support for the PAT with belt fed weapons (if possible) or highly accurate and fast designated marksman fire. ST: Prevents MZB escape by providing flank security and protects the rear of the PAT and SPT during the ambush and will cover the withdrawal of both the PAT and SPT sub-elements after the ambush is concluded. The graphics below provide a good idea of what some of the teams will be occupied with while setting up and conducted a linear ambush. In the first case, the command element will have the Assistant Team Leader at the rear of the PAT along with the team medic or any observers present. The SPT will be interspersed in the PAT, and the ST’s will be deployed to protect both flanks and the rear of the Rally Point and PAT. In the second case, the SPT will be divided with the PAT, and the ST’s will be deployed to protect both flanks and the rear of both PATs. An essential task to note is the required complete security of the selected ambush site until such time the ambush is initiated by the Ambush Team Leader or a man trap, such as an IED either passively or actively controlled. The ambush cannot be detected at all prior to initiation; if it is, the mission is a failure, and the team must withdraw as quickly as possible and elude any pursuers. Complete security is achieved when the ambush is set and its presence cannot be detected by the MZB’s passing through until it’s sprung. All around security must, without fail, be maintained by the ST. The following graphic demonstrates the security teams getting into position before anyone else. If the ambush team is surprised by a flank or rear attack, the mission is a failure and the lives of the ambush team will be in jeopardy. Some have said, and I agree, the Security Team is the most important element on the Ambush Team, for without them doing their job extremely well, chances of the Ambush team making it home are slim. Last note: Any non-combatants that stumble on the ambush site are detained until after the ambush and then released after all elements have withdrawn. It should be noted that to get to and from the selected ambush site, the team will need to employ effective patrolling techniques that utilize individual and team movement skills. Again, this series is to familiarize you with the ambush. The descriptions and graphics can only familiarize you with the subject. Ideally, you should seek the guidance of a subject matter expert and have them train your NPT. Following that, you might consider attending various schools that offer training in this area and then return to train your people. Once they’re taken through at a ‘walk through,’ you’re going to have to repeat what you’ve learned over and over and over until it becomes second nature. That means you must practice….a LOT. You should also practice, over and over, moving into position, camouflaging individual and team positions, searching bodies in the kill zone post ambush, silent withdrawal, emergency withdrawal, Object Rally Point (ORP) establishment, entry, exit, withdrawal, and so forth. Conducting an effective ambush is not something one may accomplish without some serious preparation. These preparations must also take place in the climate and environment (as closely as possible) that your NPT will perform this task. Think it’s hard in the summer time? Try winter. A whole new series of issues surface, but it can be accomplished. This entry was posted in Basic Skills, Small Unit Tactics, Training and Leadership on February 24, 2016 by Defensive Training Group. H/T to Sipsey Street Irregulars, here. A 12 year old girl was shot. In the stomach. By someone attempting to clear a weapon. Story here and here. It struck home because I have a 12 year old grand daughter and can relate to the utter horror the family experienced. If the stories are accurate, this should not and could not have happened if proper clearing procedures had been employed with proper supervision of the person serving as Range Safety Officer. This post is not about anything other than the essential skill of clearing a weapon properly and safely. Retention Repetition: It’s always loaded; don’t point it at anything you don’t want destroyed; keep your finger off the trigger until you’re ready to take a shot; be sure of your target and what is beyond it. Now, let’s look at “clearing” a weapon. For ease of discussion, we’ll do rifles/carbines that are magazine fed, you can use the same basic procedures for bolt guns, pistols, revolvers and shotguns. It doesn’t matter how the action opens, what matters is that you ensure the chamber is empty in a safe manner. STEP 1: Point the weapon in a safe direction (at the ground, down range, or into a ‘clearing barrel’ (designed and built for this procedure)). STEP 2: Without touching anything else but the magazine release, remove the magazine from the weapon. Place it on the ground, in a pouch, or on a table near you. STEP 3: Place the safety selector on safe. If operating a Garand or M14 type rifle, take care to keep fingers OUT of the trigger guard. STEP 4: Lock the bolt to the rear. (If a round is in the receiver/chamber area, this action should extract and eject the round.) If the rifle/carbine does not have a bolt hold open feature, hold the bolt to the rear and check the receiver and chamber to ensure there’s no ammunition in either location. STEP 5: Inspect the receiver and chamber area to make sure no ammunition is present. If a round is in the chamber, closing the bolt and locking the bolt to the rear again should extract and eject the round. The weapon is now clear and can be prepared for disassembly/cleaning/storage. STEP 6: With no magazine in the weapon and no ammunition in the receiver or chamber, activate the bolt release and allow the bolt to go forward. STEP 7: With the weapon pointed in a safe direction (at the ground, down range, or into a ‘clearing barrel’ (designed and built for this procedure), place the selector lever (non-NFA weapons only have ‘safe’ and ‘semi’ aka ‘fire’) on ‘SEMI’ or ‘FIRE’ and depress the trigger. STEP 8: Charge weapon once with no magazine and no ammunition in the receiver or chamber. STEP 9: Place selector lever on ‘SAFE‘. STEP 10: The weapon is now safe for follow on activities such as placing in transport cases, disassembly, cleaning, or maintenance. It’s not mandatory, obviously, as these actions can all be taken whether in a group or alone. However, when in a group, designating a knowledgeable person to supervise weapons clearing is a good idea. This entry was posted in Basic Skills, Training and Leadership on February 24, 2016 by Defensive Training Group. In Part I, the ambush was defined in finite terms along with common elements of all ambushes. This installment will describe various categories of ambushes as well as some of the skills required to successfully perform the task. We’ll look at the purposes for an ambush first. To Harass – Harassment ambushes are designed, and are effective if executed properly, to slow down an opposing force’s movement toward a particular location or objective. There is no attempt to get in close or to destroy the bad guys. It serves well as a delaying action. Harassing ambushes may be accomplished by one person or a large team. To Kill – Killing ambushes are focused on killing a specific group or individual within the kill zone with a secondary objective of destroying equipment. They’re usually conducted by larger groups, say, for example, a squad (10 to 13 people), but can be done with smaller or larger groups, up to a platoon (33 to 44 people, approximately). Destruction of the ambushed party is projected to be extremely fast and complete. It may be comprised of personnel, explosives, organic light machine guns, or all of these. There are many and varied formations for these ambushes, which will be described later. Successful reaction to these ambushes requires a high degree of repetitive training by a group simply because reaction time and routes out of the kill zone will be extremely limited. To Resupply – These are designed to equip or re-equip, supply or re-supply of the group performing the ambush, or a group the ambushing group is supporting. Complete destruction of the ambushed party is not the objective; gaining the material or equipment possessed by the ambushed group is the desired end result. Basically, it’s an armed robbery on steroids. The one element that will set this type of ambush party apart is the ‘carriers.’ Supplies taken must be carried out, and depending on the weight and containers, more carriers than ambushers may be needed, which will require the carriers (if not participating in the ambush) to be secured close enough to the kill zone to be quickly employed, but far enough away to ensure they won’t be accidentally discovered and will be reasonably safe until needed. Doing so also requires that well-trained NPT members be assigned as a security element for the carriers in the event that something goes awry during the ambush. To Kidnap – Formally, this is called a ‘prisoner’ ambush. Both formal military and informal civilian groups have and continue to use this ambush to capture high value persons that may be from the opposition’s command structure or highly valuable to hold for ransom or propaganda purposes. As the object of this ambush is to take the primary target(s) alive, killing power must be strictly controlled. The ambush team must also be able to leave the ambush site quickly and cover it’s back trail to ensure they can evade any follow on response force. Any of the Above in Combination – Depending on the group or entity, ambushes can always have a secondary purpose of capturing equipment or supplies, kidnapping important people, and so forth. Situational factors during planning will have the greatest impact on the specific type of ambush to be performed. Now we can look at ambushes by target, specifically who or what is the ambush focused on. Dismounted Groups – That means, groups or teams that are on foot walking along roads, trails, streams, in deployed formations, or in other areas they may be brought under fire. This ambush is extremely difficult to successfully perform on regular infantry type units in anyone’s military, provided the troops in question are well-trained in reacting to ambushes. One reason is that military units have front, rear, and flank security screening elements, and today, may in fact, have drone screens above the group moving that can see down into a probable ambush site and alert the military unit moving through the area. When these types of ambushes are successful against military units, chances are that severe lapses in security combined with catastrophic failure by the troop commander, patrol leader, or members to take rapid counter actions to break contact or turn the initiative away from the ambushing party. Conversely, these ambushes typically work spectacularly on the lone civilian dignitary who may decide to go ‘walk about’ without his or her trained security detail, even if they are personally armed, civilians typically targeted for this ambush do not train in counter-ambush techniques or carry enough ammunition or a weapon capable of getting them to safety. Against Vehicles – The easiest ambush to conduct and most difficult to counter. Speed at which the vehicle(s) move is no real defense against the ambush, as most of these use either improvised explosive devices (IED’s) or military grade explosives that are activated either by the ambushing party or mechanisms when tripped by who or whatever. Speed is actually a liability to the targeted group due to vehicular spacing, reactions of drivers, ‘march’ control, and discipline within the convoy (two or more vehicles). Against Watercraft – The more narrow the inland waterway, the better for the ambushing party. This ambush is very similar to the vehicular ambush in execution and purpose. Countering difficulty is magnified by the water itself, as dismounting can only be done when the craft reaches the shoreline. Additionally, point, flank, and rear security duties, which can be performed by other watercraft, are subject to the same countering conditions as the primary watercraft or convoy. If conducted for propaganda purposes, these ambushes can have great psychological impact on the economy of a state or nation by branding travel by boat as ‘too dangerous’. Against Trains – Butch Cassidy and the Sundance Kid were ahead of their time. They used train ambushes to their advantage and the methodology used then is still valid today. These ambushes combine some elements of both the raid and sabotage functions. Getting the train to stop at or near a desired ambush point typically requires sabotage of the track. If successful, the ‘ambush’ team conducts a raid on the train and secures its objective or destroys the train, mission dependent. Against Aircraft – These require great stealth getting into position either at the ends of active runways, landing zones, or along the path of initial take off or final approach for fixed wing or within effective range for slow moving rotary wing aircraft which are always the most vulnerable areas for any aircraft. Typically, groups that have aircraft available also have an area denial capability (also known as Air Base Ground Defense or Distributed Area Defense) to preclude the loss of aircraft. When these are carried out, they usually require man portable Surface to Air Missles (SAM) or belt fed machine guns and trained gunners. The ambush team also must possess the ability to quickly leave the area to ensure they are not taken out by any Quick Reaction Force (QRF). Against Individuals – Comprised of any sized team against dignitaries, officials, wealthy people, rival criminals, or disfavored ethnicities. The person can be walking, driving a car, riding a bicycle, sitting on a bench, having dinner at home, literally doing anything anywhere. All that is required is confirmed intelligence on patterns, habits, locations, preferences, and likely courses of action the target may or may not take. Chances are, if you research this subject in more depth, you’ll be able to come up with quite a few more classifications that are valid; just remember that all classification systems everywhere are artificial, that is, there is none that is invalid, and the classifications are totally user dependent. The key is to to determine common elements of what must be done, plan the task, rehearse it, and execute it effectively. In the case of our fictional NPT scenario, that means stopping the MZB’s and getting everyone back inside the NPA perimeter with a minimum amount of damage. Be Physically Fit – Yes, we’re beating that dead horse again. If you’re not fit, you’re not going to make it there and back. You’re not an asset, you’re a liability. You may be carrying a lot of ammunition in and captured equipment/supplies out. Regular rucking helps. Proficient with Personal Weapons – That means you need to be able to shoot. Whatever you have. Deliberately. Accurately. Aimed at the MZB’s. Proficient in Individual Movement Techniques – High Crawl, Low Crawl, Stealthy Movement, Hand and Arm Signals (there is NO talking on a patrol, especially when you’re out looking for trouble), and so forth. Land Navigation/Terrain Association – Sure, you might not be the ‘compass man’ or ‘keeper of the map’, but if you get separated, you’ll be glad you can figure out where you are, where you need to be, and how to get there, especially if it’s been made clear that there won’t be time to look for lost/separated members. Camouflage – Individual, weapons, equipment. This doesn’t just mean donning the latest and greatest ‘multi-flage’. You might be in an urban environment. Looking like everyone else is sometimes your only camouflage. Being able to blend in to the surrounding scenery is a cornerstone of success. Ability to ‘SALUTE’ – Every patrol, even an ambush, is a reconnaissance mission. You must be able to accurately report what you have seen. Others may have not seen it, and nothing is to be taken as ‘irrelevant’. There are more, to be sure. What would you add? This entry was posted in Basic Skills, Small Unit Tactics, Training and Leadership on February 23, 2016 by Defensive Training Group. Can You Cook for Your NPT during SHTF/WROL? “I spent over 20 years as a professional chef,I was the executive chef at private country clubs and first class hotels. I also cooked for an outfitter on backcountry elk hunts,cooking for the hunters, the guides,and the rest of the staff way back in the mountains,it was usually a 2 day horseback ride to get to camp. Hand washing and the right soaps to use. Proper sanitation/disinfecting of pots,pans,utensils,kitchen equipment and surfaces. Knife sharpening and the correct way to use a chef’s or cooks knife,and other kitchen knives. The various cooking methods-broil, bake,braise,saute,etc. Common kitchen weights and measures,use of each. Basic food prep of vegetables used in cooking. Intro to the various stocks,soups and sauces. Roux and other binding agents. Fats and oils used in cooking. Cooking,holding and serving foods safely. Cuts of meats and what each is best used for. This entry was posted in Basic Skills, Preps on February 22, 2016 by Defensive Training Group. Can you do what a candidate for First Class Boy Scout in 1938 had to perform to achieve the rank in regard to field craft? I’m thinking some of us have some work to do in relation to field craft. It’s not all AR & pistol work….. This entry was posted in Basic Skills on February 22, 2016 by Defensive Training Group. Condition of Use: The SHTF and WROL scenarios are common place; there is no capability for recognized ‘first responders’ to nullify the threat to your NPA (Neighborhood Protection Area) or keep you and your ‘precious cargo’ safe. You are on your own. Your reconnaissance team(s) has/have been out several times in the last few days, and they keep coming back with indications that you’ve been being reconned from without. There are definite signs you’re little NPA is being targeted by MZB’s. You decide to act. You’ve ruled out a GOOD op, because some of the folks in your NPA can’t move very well, if at all, and you’re not going to leave them. That means you have to fight. Waiting for the MZB’s to strike gives them the initiative and advantage. Not a good move, either. So, you decide to set up an ambush or two along avenues of approach (AA). Problem is, you haven’t done much work on ambush training. That’s what this post is about: The basics of setting an ambush, its purposes, and expected results. Ambushes are nothing more than a surprise attack on a moving or temporarily halted opposing force with the objective of significantly crippling, destroying, or capturing the opposing force. Numerical superiority is not necessarily required for the conduct of a successful ambush. Don’t confuse an ambush with a raid. While it’s true that both are surprise attacks, the ambush has the significant difference of not taking or holding ground. Raids will typically take and hold a particular location for varying lengths of time to permit the conduct of a task or mission that can best be accomplished after the raid. There’s also a the time/place difference between the two: In the ambush, the target sets the time; the attacker the place. In a raid, it is the opposite: the target sets the place; the attacker the time. Initiated by a simultaneous high volume of fire into the kill zone by the ‘assault’ and ‘base of fire’ (if you have one) element. It comes down to this: You are going to attempt to surprise an armed group of people by opening fire on them and trying to kill as many as possible before they can react and return fire. You should have your team well-rehearsed on the actions to take individually and as a team for site occupation, ambush initiations, cease fire, and withdrawal. That means a lot of walk-through training. Depending on your objective, you are going to quickly leave the area by a route that will not be easily followed by any other opposing force teams attempting to come to the aid of the ambushed group. Next time we’ll look at the various categories of ambushes and some of the skills involved in training for them. This entry was posted in Basic Skills, Small Unit Tactics, Training and Leadership on February 17, 2016 by Defensive Training Group. JC provides some good insight on the differences between subordinating one’s self and being subservient. Makes a huge difference…. A serious issue that I’ve seen in the Liberty/Patriot/Militia is the perception that those of us with prior military service look down on civilians as serfs to be shunned and ostracized for their lack of martial ability. A friend has used the analogy of Adults compared to children, and this has been made into an “Us vs Them” theme by the ignorant, as if we are in competition. There is no competition in this arena, simply because the requisite skills are not present in civilians to be competitors. Going to an SUT class or four does not put you on par with an infantryman who did one enlistment (it’s like comparing little league with a farm league team). Those who generally push that you are on par have an agenda, and that agenda usually has a price tag attached, and it has to do with attending their class. This entry was posted in Uncategorized on February 14, 2016 by Defensive Training Group. Inspired by the post at ‘Stop Shouting,’ here. As it stands, the country has not yet descended into SHTF/WROL where gangs of MZB’s (see acronym guide at top of blog) are running rampant with NPT’s engaged in security operations to keep precious cargo safe. We’re at basically, ‘the new normal,’ which is declining sociopolitical conditions on the way to SHTF/WROL (ours and many others opinions). Be that as it may, we’re bound to withhold some of the more active security measures for our homes. After all, we still go to work (those of us with jobs), take the kids to school, go to the grocery store, pay our bills, and talk with our neighbors (you better be if you want a chance to survive when S does HTF!). That said, to classify what you do to your home to slow down a home invasion is important. Chances are if you live in a modern home, the potential entry ways are comprised of a large amount of glass. Very attractive both to passers by and home invaders. The good thing is that the glass in the windows, if you have higher quality double-pained, such as the Pella brand, will make a whole lot of noise when broken. Additionally, the locking mechanisms, when forced, make a loud noise as well. So let’s look at the doors. Front, side, deck/patio and your ‘fall back room’ door. One of the first things you want to do is to increase the effectiveness of the dead bolt and lock. Yes, it costs money. The less chance there is to pick that lock, the higher the probability is that the home invader is not going to succeed in getting in OR the more noise he’s going to make trying to get in as he/they get desperate to achieve entry. Once you’ve installed higher end locks (meaning much more difficult to pick by MZB’s) on all your entry way doors, you can also add braces to make kicking the door in a lot harder. The example below is inexpensive, adjustable, and can be put away during times you don’t think them appropriate, like when you have guests over. What they do, besides strengthen the door is give you time to get your Precious Cargo into your fall back room where you’re armed and calling for the cavalry. Basically, these passive measures let you conduct a Delaying Action. You’re trading space for time. Now, these things can be had with battery powered sound alarms as well, if you want them. They don’t have to be bolted into the floor, and they reinforce the locking mechanism, not just the bottom or top of the door as some other types do. Another good feature is that if you have to get out, they take about a second to disengage. You simply pull them away from the door. Bam. You’re out. Any thought of, “We’ll be trapped inside if there’s a fire!” can be forgotten when considering these reinforcements. They’re inexpensive, as low as $20 a pop, too. Your choices all depend on your wallet and your requirements. So, if you have 3 doors and a fall back room, you’re talking 4 to 5 of these (if you’ve got ‘French Doors’, you might consider one for each side). $120 or so on Amazon or eBay. You can find free shipping if you look hard enough and sometimes if you buy multiples, the price goes down. It’s a no-brainer. There are other ways to accomplish the same thing, too, so don’t think this is the only way. It’s a way. As an example, when I was a boy, if my father wasn’t home for whatever reason, my mother would stick butter knives and spatulas in between the door jamb and top of the door so that when it opened, they’d fall and crash, and make a hell of a noise. There was an issue a few times when my father came home from work late and didn’t know Mom had put the passive defense measures in place. Hilarity ensued. Bottom line was that she improvised and bought time she’d need to call for help or get us out a window (we lived in a ranch). Remember the point of the delaying action: Get your precious cargo into your fall back room, get armed, get the cavalry on the way with a 911 call. Once that’s done, in the ensuing minutes that you’re waiting to hear the sound of ‘the bugle’, you can check your weapon, put on a plate carrier or soft body armor, and wait. Your job is not to take the fight to them at this point. You might disagree with that, but the reality is you don’t have a lot of people capable of conducting offensive operations against a home invasion…most likely. It might just be you, the wife/husband, and a couple small children. Somebody’s gotta take care of the kids and somebody’s gotta be the ‘last line of defense’….that somebody is you. So, consider that as you sit there hearing your door crash in. The mission, from your perspective, has been a success because you took measures to give yourself time if/when the home invasion happens. Last thought: You need to train it. Meaning, you need to set up some drills. Walk through it a couple times. Get the family used to following those directions. And for good measure, let them know that sometimes, you’ll try it at night before everyone goes to bed. Make it a regular practice so any anxiety felt when it’s the real thing is minimal, because they know what to expect. It’s a gentle form of stress inoculation. This entry was posted in Basic Skills, Tools and Equipment, Training and Leadership on February 14, 2016 by Defensive Training Group.